Cafeteria. You are. You eat. 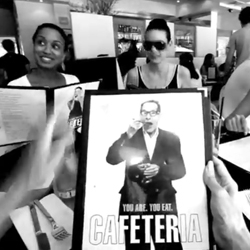 Awesome mini-film/music video for this NYC restaurant that will shock you at the end... Beautifully shot from first person perspective.